Located in Waltham Abbey, Essex and commissioned by the North East Essex Primary Care Trust, this bespoke two bay Modular Building provides a modern, safe and much needed extension to a busy Doctors Surgery. 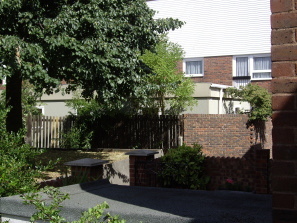 The Surgery is located in the centre of a very busy housing estate and the only available space for the additional consulting rooms was in a small garden to the rear. This Prefabricated Building provides a total floor area of 60 sq. metres and incorporates an entrance lobby, three consulting rooms and two stub links to the existing building. Externally, the walls are finished in resin based texture whilst the roof has a mono pitch flat roofing system and hard wearing "Hypalon" blanket. The installation was a challenge (due to the space constraints) but with help from local residents, the building was located on site within two hours!